Developer Devolver Digital, and Payday 2 developer Overkill Software are collaborating to bring some extra content to both Hotline Miami 2 and Payday 2. Everyone who buys the standard digital edition of Hotline Miami 2: Wrong Number through Steam will get six masks in Payday 2 plus five gallons of Hype Fuel. For people who buy the Digital Special Edition will get even more rewards. The Digital Special Edition will offer the same content found in the standard but with the addition of five extra gallons of Hype Fuel for Payday 2 plus the option to play as Jacket in Payday 2, the Richard Returns mask, the Jacket Piece submachine gun, the Sociopath perk as well as the Carpenter’s Delight hammer weapon. 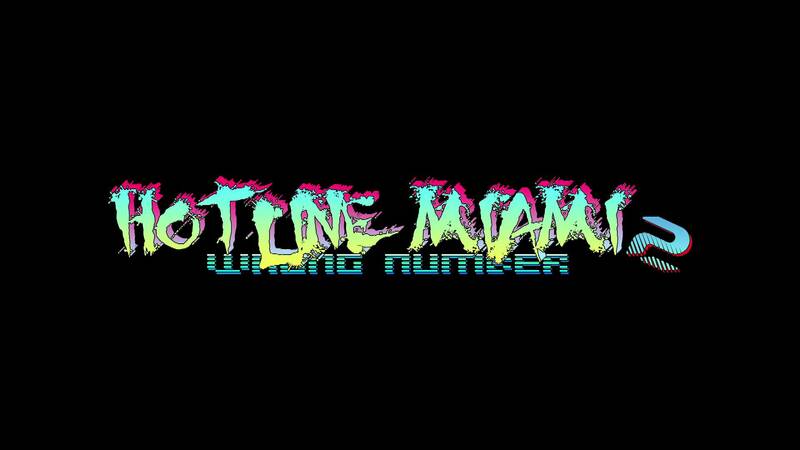 Gameplay in Hotline Miami 2: Wrong Number remains as frantic and brutal as in the original. The gameplay remains identical to the original in most respects, but Hotline Miami 2 : Wrong Number will see the addition of new difficulty modes, easy, classic and extreme, which can be unlocked as soon as the player completes a level with a ranking of C+ or higher. Extreme mode will have tougher enemies, and some add some handicap to the player, like disabling enemy locking. There will be a total of thirteen playable characters, with each one having their own interpretations in the story. The masks mechanic will be making a return, with both old and new masks offering new and exciting abilities and playstyles. Each character will have a unique feature set and abilities. Hotline Miami 2: Wrong Number takes place both before and after the events of the original, but with a heavier focus on the latter. The Pig Butcher: A fictionalized version of Jacket in the slasher/exploitation film “Midnight Animal,” portrayed by a famed actor named Martin Brown who is in the throes of a mental breakdown. The Fans: A gang of murderous vigilantes who view Jacket as a hero and try to emulate him. Playable fans include Tony (Tiger Mask), Mark (Bear Mask), siblings Alex and Ash (Swan Masks), and Corey(Zebra Mask). Notably, Alex and Corey represent the first playable female characters in the series. The Detective: A police detective named Manny Pardo who is investigating Jacket’s murders. He is close friends with The Writer. Jake: A large man with a choice of snake masks. He is an unwitting member of 50 Blessings, like Jacket, though he views his mysterious employers with contempt and desires to find the truth. He is found dead in the original game, and his story in Wrong Number serves as a prequel. The Writer: A journalist named Evan investigating the story behind Jacket’s murders alongside The Detective. Contrary to the other characters, The Writer doesn’t seem to outright kill people; many of his attacks are nonlethal unless the player performs a ‘finisher’ on a downed enemy. Repeated violence causes his vision to turn red and his attacks to become deadly. Normally, however, The Writer will unload any firearm he picks up and will aim to disable his opponents, usually by beating them with blunt objects. The Soldier: A soldier with an unknown name, leaked in a screenshot. He wears glasses, and sports a beard. He is also the character pictured on the cover of the game.